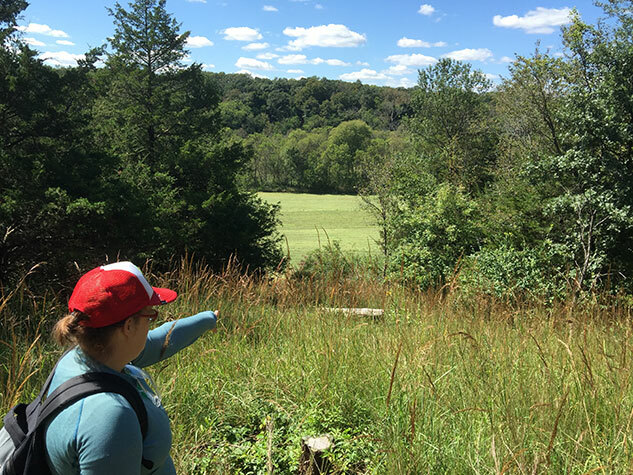 People are amazed to discover that the English Department at Iowa State University finds itself overseeing and managing a 76-acre wilderness tract in Boone County. When Everett Casey presented his gift of real estate to the university in 2008, he specifically arranged for its home to be English. He envisioned the land as a nature reserve for use in our Creative Writing & Environment program. 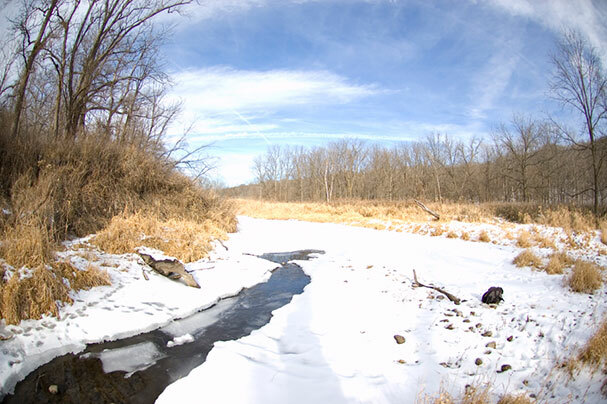 The Everett Casey Nature Reserve is a rolling wooded timberland 25 miles west of the university in rural Boone County. It is a place for graduate students to engage in nature-based educational activities. Some of them take their First-Year composition classes on fieldtrips there and create assignments that incorporate the land. Some go there to find a quiet spot for observing nature, doing some writing or gazing up at the stars under dark skies. 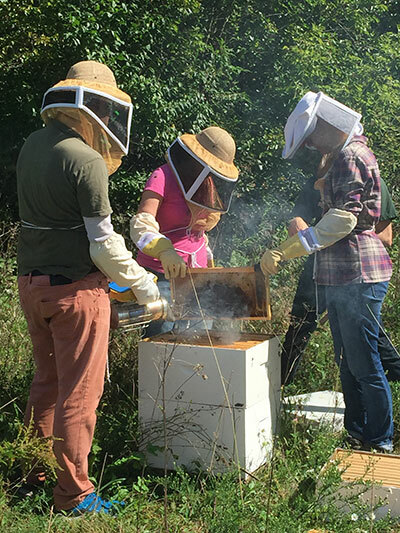 We keep beehives, conduct mushroom inoculations, go birding, take hikes, maintain the trails, stoke bonfires and throughout the winter snowshoe up and down the bluffs. Twelve of the 76 acres are in alfalfa production, and we use the money we collect from our tenant farmer for upkeep and maintenance and also for funding student endeavors. 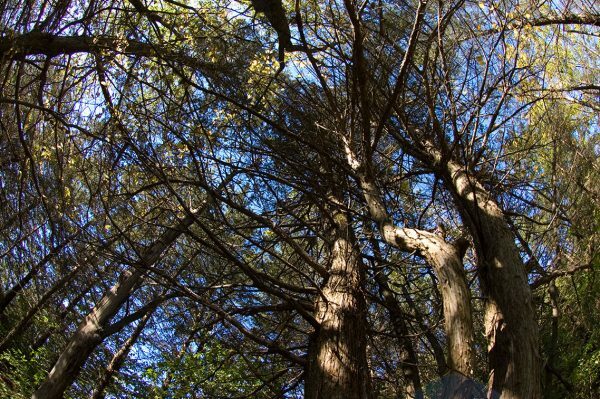 Sixty-two acres are forested—hickory, oak, basswood, hackberry, locust. 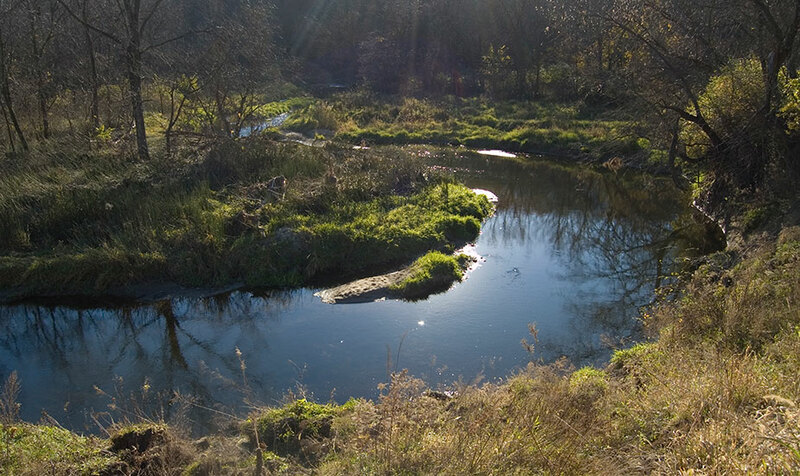 A picturesque stream meanders through the property—Bluff Creek, a tributary of the Des Moines River. Two acres near the apiary are sunny, open and flat, and that’s where we have re-introduced native prairie. Everett Casey was a 1946 Engineering alum of Iowa State. Decades after he graduated he remembered fondly the handful of English classes he had taken. Thus his gift.